What’s a THC-driven business to do? 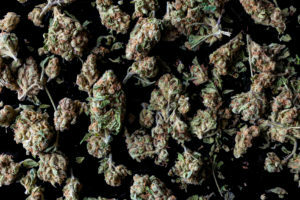 Several industry analysts said educating consumers about the nuances of CBD and THC would help ensure the two cannabinoids can coexist and continue to support a company’s bottom line. Others advised that focusing on product safety, high-quality CBD offerings and the whole-plant experience will all go a long way toward inoculating a THC-focused business against any threat – real or perceived – from consumers’ growing appetites for CBD-infused products. Focus on health issues consumers want to solve and offer products that cater to their needs. Determine what consumers want, regardless of whether it’s THC- or CBD-related. Lower operating costs by using a membrane-based extraction system. Don’t get overly stressed about competition from CBD products, because there are more important issues to consider. Convince regulators to allow retailers to sell CBD-only products alongside THC products.